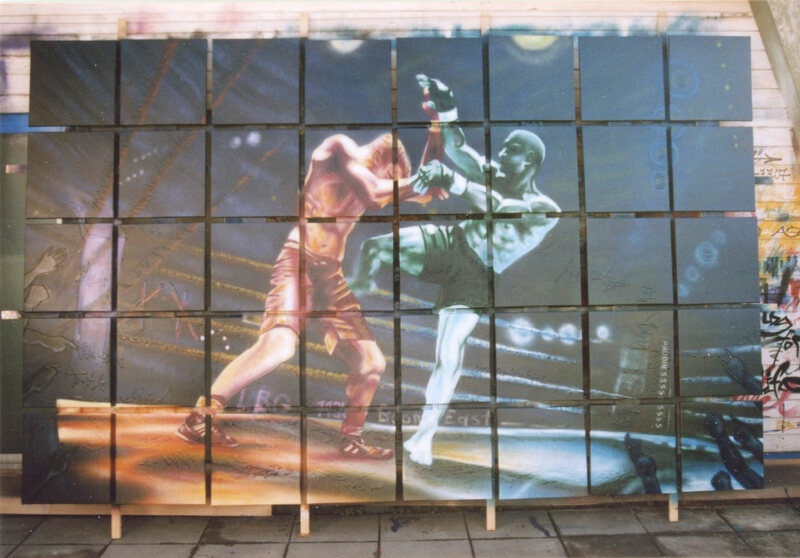 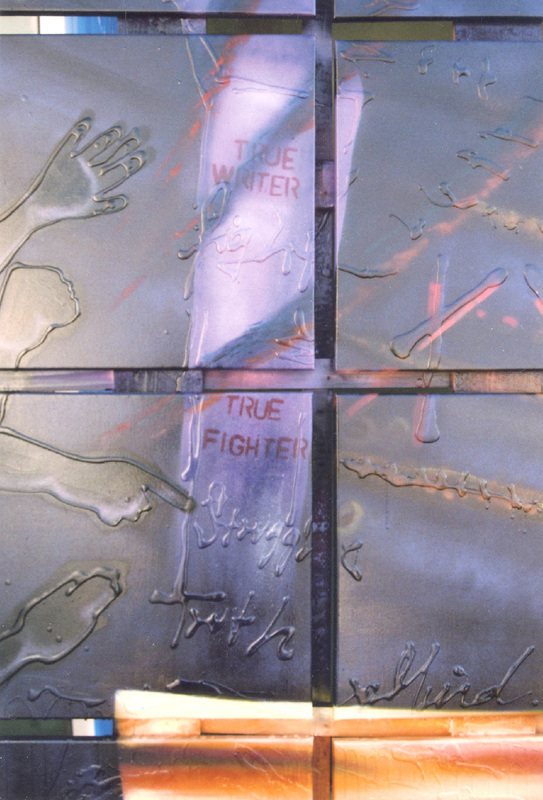 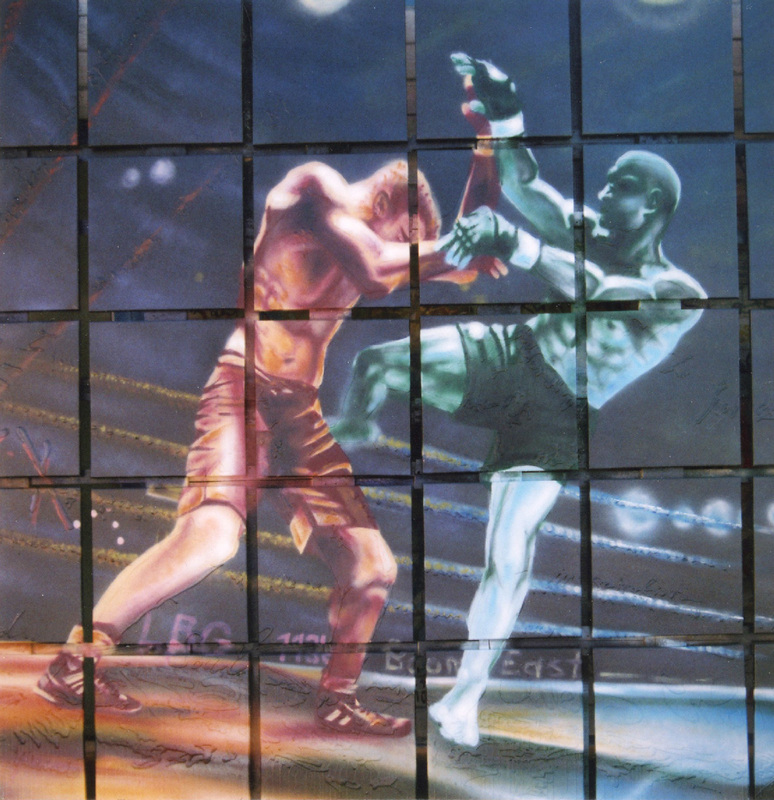 The two fighters symbolize the two different artistic styles. 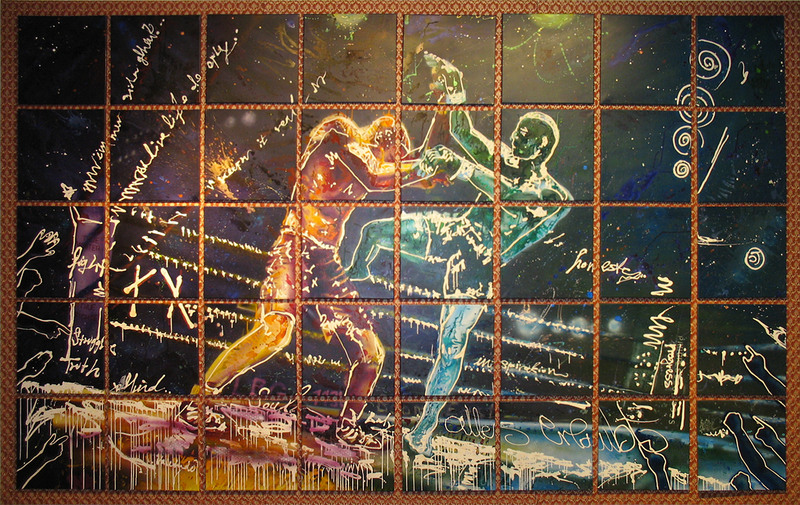 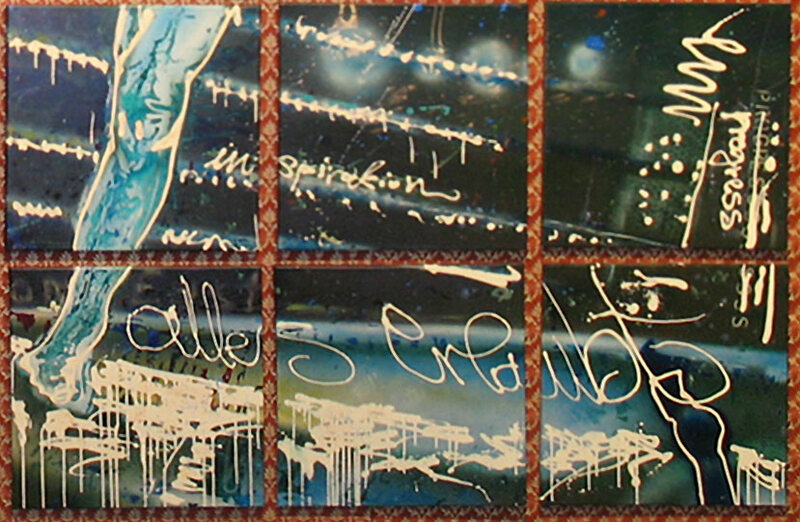 Through the discussion about the creative processes of the two artists, the two styles come together in a collaborative work. 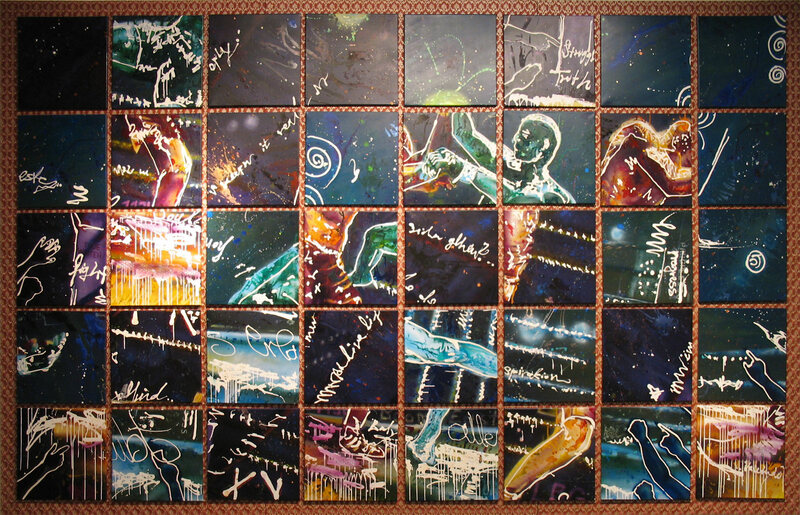 The individual pieces of the movable work on canvas can be adjusted at will and, similar to a puzzle, be put back together to form its original image.